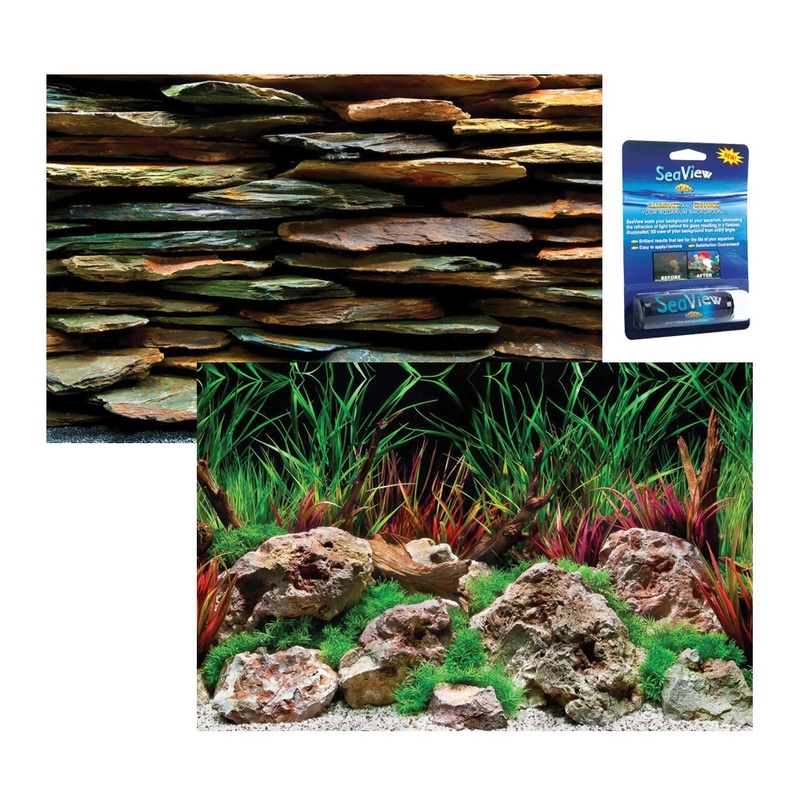 This double sided backing looks absolutely stunning in the aquarium . 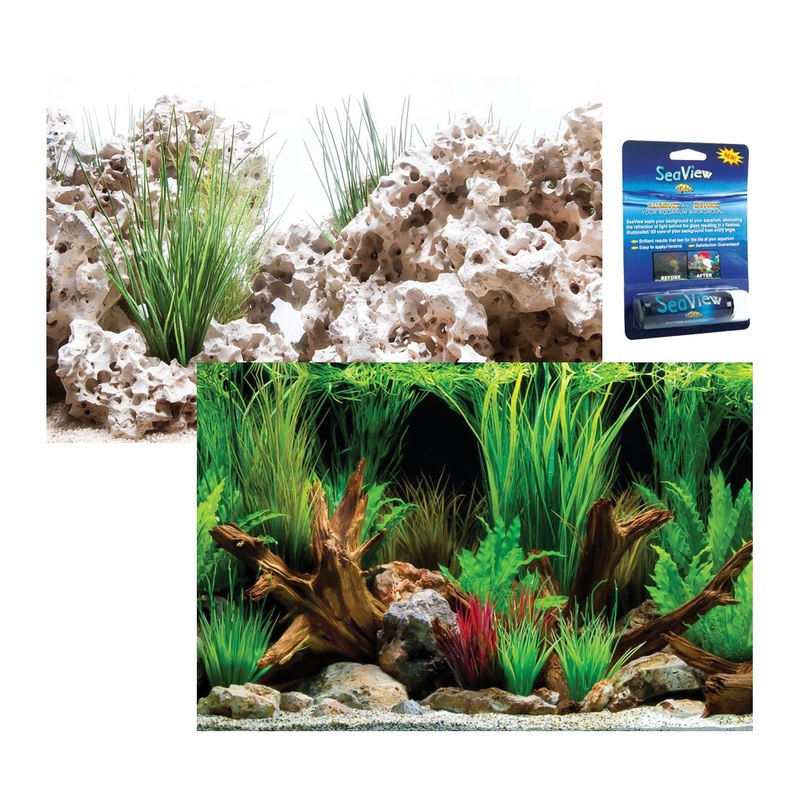 Two very different looks for this double background which could easily inspire you . 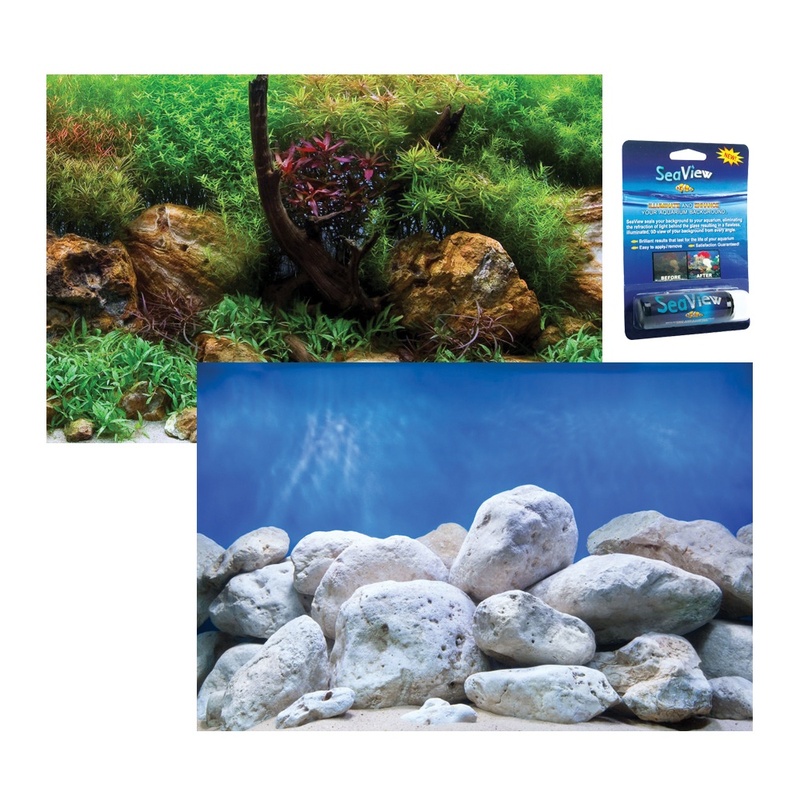 The pebbles on the seabed draw your eyes into the depth of the ocean ,otr the greenery in the aquarium garden let you imagine a host of small fish darting about and maybe even some shrimp . 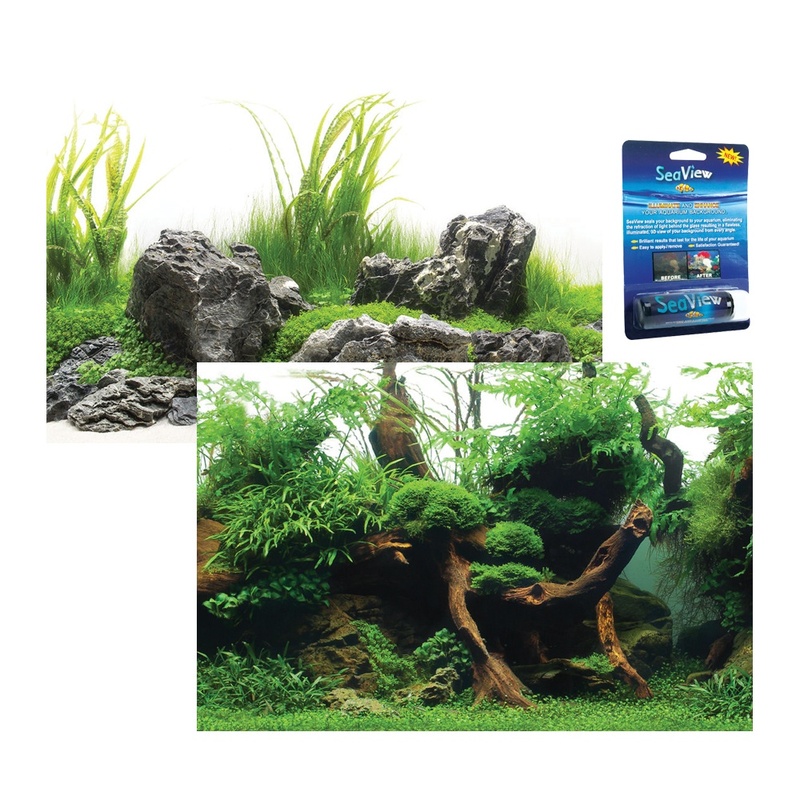 Some carefully placed rocks and some plants will enhance this backing even further creating a true masterpiece. 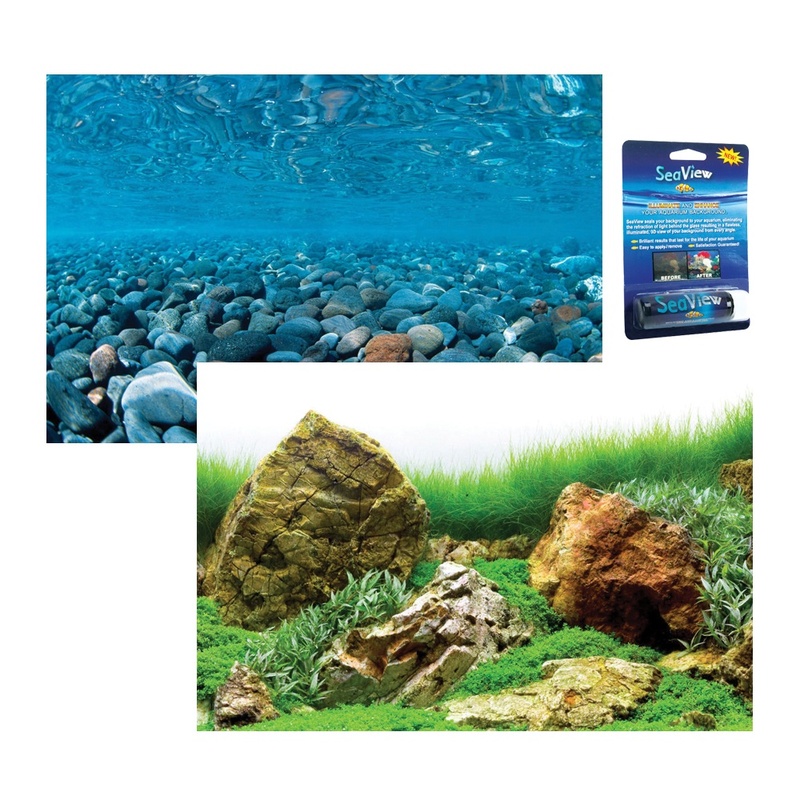 The Rock/Sea Of Green Aquarium background comes complete with a tube of seaview backing gel .